While animal waste is a smelly reality on any farm, if used right it can provide valuable fertilizer to your cropland. Every barnyard species’ manure has its merits and risks for use on the small-scale farm. Couple knowledge of your soil’s nutrient needs as determined in a soil test with the characteristics of the manure you have on hand to create a soil recipe that best suits your crops and pastures. Knowing your animals’ average daily manure volume and weight can help you plan for storage and processing needs, but keep in mind the manure’s moisture content will evaporate, reducing volume and weight over time. Below are the dirty details you should know about your livestock’s poop before using it on your farm. These numbers can vary based on the animal’s diet and stage of growth and production, so you might consider having your livestock’s manure tested by your state department of agriculture, a private lab or your local cooperative extension for more accurate measurements. The measurements below do not account for bedding, only manure. While they might seem tedious to remember, keep the guide close at hand so you can make the healthiest soil possible. 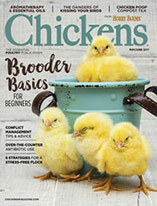 Don’t Get Burned: The nutrients in fresh chicken manure are too strong to use directly on your vegetables and ornamental plants and will “burn” them, preventing germination and retarding growth. Composting chicken manure before use on your veggies is a best practice, though fresh chicken manure can be used to help establish forage crops. The University of Georgia advises using fresh chicken manure sparingly when seeding legumes into existing grasses. 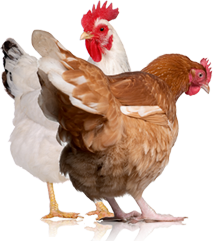 The Load: One chicken produces approximately 1/4 pound or 0.0003 to 0.0004 cubic feet of manure per day. 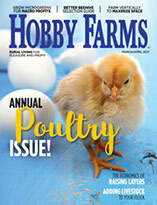 An Eye on Health: Dry chicken manure has an average N-P-K ratio of 3.55-2.25-1.75. Be aware that this nutrient content can vary depending on your chickens’ housing and whether they’re raised as broilers or layers. Stop Buggin’ Out: Compost horse manure before spreading it on pastures to kill parasites and their eggs. An Eye on Health: A slow-release fertilizer when dry and rapid-release when fresh, horse manure has an average N-P-K value of 1.5-1.4-1.75. Altering your horse’s diet will affect these numbers; for example, feeding legume hay will increase the amounts of nitrogen, calcium and magnesium in the manure. Apply It: Composted horse manure should be spread a maximum of four times during the growing season at approximately 1/4-inch thickness so the nutrients can be best utilized by the pasture plants. Avoid adding any more than 1¼ pounds per square foot of land per year. Weed Before You Seed: Uncomposted cattle manure will often contain weed seeds. (The same goes for horse and sheep manure—the animals eat the weeds in their forage.) Applied fresh, these weeds will sprout in pastures and garden beds, but the heat generated by proper composting will kill the weed seeds. The Load: At the top of your farm’s manure-producing chain, one cow can provide 63 to 106 pounds or 1 to 1.7 cubic feet of manure per day. An Eye on Health: Cattle manure has an N-P-K value of 1.25-.55-1. Switching cattle from a high-grain diet to a high-quality hay-based diet might reduce E. coli content in manure. Apply It: Add no more than 1 pound of cattle manure per square foot of land per year. An alternative to spreading manure yourself is to institute an intensive grazing management plan on your farm, especially in areas that will be tilled after the manure is deposited. The Pathogens Stop Here: Many cooperative extensions caution against using pig manure on food crops or in a garden-compost pile because some parasites in the manure can be harmful to humans and might not be killed during composting. Have your pig manure tested for pathogens before applying it to your food crops. Pigs fed coarsely ground meal diets are less likely to produce manure testing positive for Salmonella than those fed finely ground pelleted diets. The Load: One pig produces 7.2 to 9.5 pounds or 0.12 to 0.15 cubic feet of manure per day. An Eye on Health: On average, pig manure’s N-P-K value is 0.4-0.3-0.45. It’s higher in sulfur content than most manures (except chicken manure), so it’s useful for sulfur-deficient soils. Signs of sulfur deficiency in crops are yellowing of young leaves, spindly looking plants, slow growth and delayed maturity. A soil test will confirm sulfur levels. Apply It: When using, add no more than 2 pounds of hog manure per square foot of land per year. Steady as She Goes: Sheep manure is an overall balanced soil fertilizer, having valuable—but not particularly rich—nutrient and micronutrient levels. The Load: A sheep produces 4 pounds or 0.06 cubic feet of manure per day. An Eye on Health: The average N-P-K content of sheep manure is 2.5-1.75-2. Sheep manure has more magnesium than all other farm animal species’ manure except chickens. This can be a beneficial addition to magnesium-deficient soils. Your soil might be magnesium-deficient if you find crops with yellow or white areas or dead spots between the veins of older leaves, older leaves with a purple or bronze color, and plants with stunted growth and yellow appearances. A soil test will confirm magnesium levels. Apply It: Add no more than 2/3 pound of sheep manure per square foot of land per year. Sick or stressed animals are more likely to shed harmful pathogens in their manure, according to the University of Minnesota Cooperative Extension, so if nutritious fertilizer is what you’re after, it’s important to treat your animals right. Follow common-sense animal-care guidelines: quarantine new or sick animals, use parasite control and fly control, provide appropriate shelter, regularly provided fresh feed and clean water, allow appropriate space in indoor and outdoor areas, schedule regular manure removal and bedding maintenance, and control temperature and ventilation inside barns. And never forget: Always practice caution when using animal waste as fertilizer. Be aware that using any form of manure above the recommended rate can lead to increased nitrate concentration in forages, posing the risk of nitrate toxicity to grazing animals. To prevent food-borne illness, do not apply fresh manure to land where food crops come in contact with the soil within 120 days of harvest, and avoid applying fresh manure to other cropland within 90 days of harvest.